All those rumours are true! Apple CEO Steve Jobs unveiled the new iPhone today afternoon at the company’s annual Worldwide developers conference here in San Francisco. 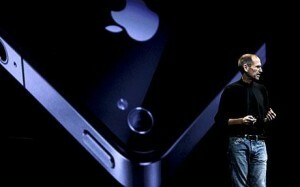 It is reported that the new iPhone 4 has about 100 new features and some alterations from the iPhone 3GS. The iPhone 4’s screen displays 326 pixels per inch which is four times the resolution of the iPhone 3Gs. The new phone comes with the A4 chip that is used in the iPad and will let you talk for about 7 hours on one battery charge which includes ability to record and edit video in HD. The iPhone 4 has two cameras in the front and the back and the new front camera is enabled for video chat using a new feature called “FaceTime” feature. It’s a WiFi-only for now and a video calling feature that works from iPhone 4 to iPhone 4 with no setup required and can instantly flip to the back camera when needed. Many pictures of the iPhone 4 were leaked by Gizmodo earlier. A few things were cleared out by Jobs today where he revealed that the metal band surrounding the phone was its antenna. Rumours have it that Jobs will reveal an update to Apple safari web browser, a new mac operating system, new Macs and an iTunes update. Apple TV device is also listed as a possible release but this is still a rumour. The phone is set to be sold in two colors White or Black and will be retailing at $199 for a 16GB model and $299 for 32GB. The phone will be out for sale on June 24th and will be availble through AT&T. While this is good, the 3Gs is dropped to $99 and the 3G will disappear completely. Pre-orders will start in a week and the phone will launch in 5 countries US, Germany, UK, Japan and France. Previous Would you do this in an internet cafe? This will be my next iPhone (after 3G).